Alumni Association President J.T. (Tom) Buck '77 and active chapter President Patrick O'Connor '15 are working together to enhance interaction between members of the active chapter and alums. 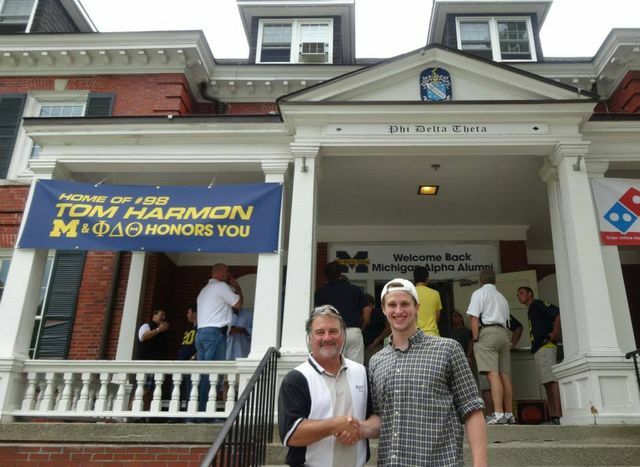 The Harmon BBQ was a great example of what is possible when both actives and alums get together at the chapter house. Approximately 50 alums ranging from classes in the 1950s through the 2010s attended the BBQ.